A versatile maintenance spray to remove moisture and protect all mechanical components whilst also adding lubricating properties. Suitable for all frame materials and painted surfaces - use Purple Harry's Maintenance Spray on the cassette, drive train, hubs, bottom bracket area and pedals. Safe on all surfaces but avoid braking areas. It is a little known fact that most aerosols only contain an estimated 50-60% of product. 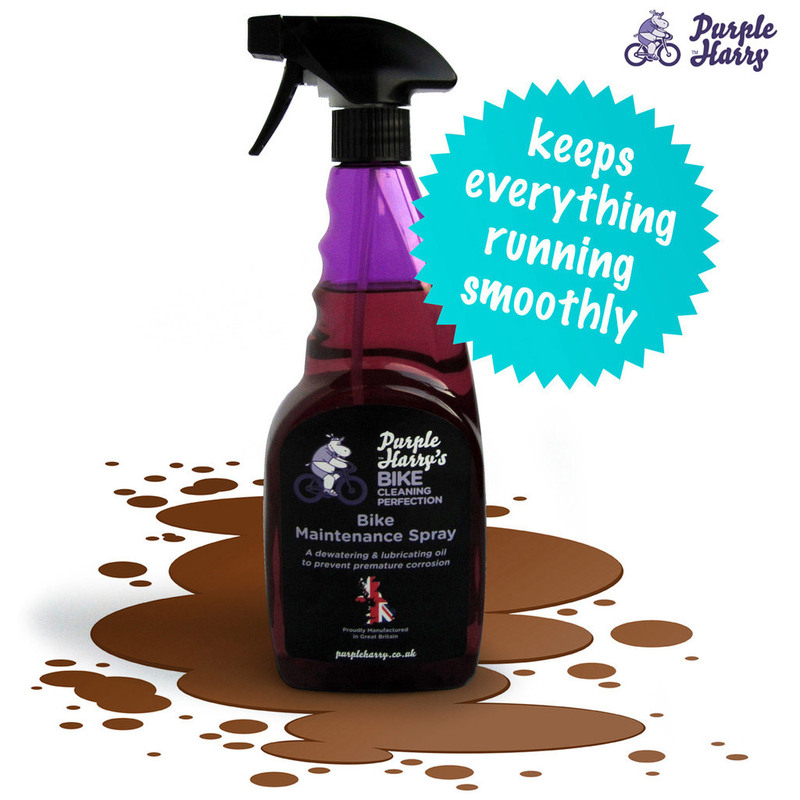 Purple Harry's maintenance spray offers unrivalled value for money as the 750ml trigger spray contains exactly what it says on the label: 750ml of maintenance spray; nothing more. And certainly nothing less! Best used after a thorough clean with Purple Harry's Bike Cleaner and Degreaser.